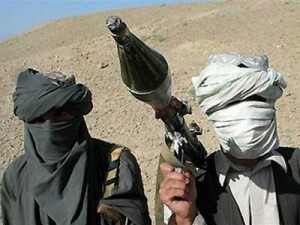 Gates Says Taliban Must Take Legitimate Afghan Role????? As our esteemed Logistics Monster always says, AYFKM???? !, while I am more prone to utter the simpler, three word invective, Whiskey Tango Foxtrot. David Horowitz’s NewsReal’s Jeff Hespeth, writing of the New York Times piece by the same name, rightfully asks, Is the Obama Administration courting the Taliban? Excuse me, folks, but…DO THESE PEOPLE LOOK LIKE SOMEONE WITH WHOM YOU or any sane person WOULD WANT TO DO BUSINESS??! Has this man ever heard of Taqiya? Is he at all aware that Islam MANDATES that ALL agreements and contracts made with *The Infidel* be broken within SEVEN YEARS?? Doesn’t he know that criticizing Islam is dangerous to your health?? Just ask Dutch filmmaker Theo van Gogh, Salmon Rushdie, Geert Wilders or Kurt Westergaard, whose capitol crime was drawing a cartoon in a Danish newspaper. In fact, it is clear to everyone who breathes that these individuals do NOT play well with others. In fact, they do not play at all, and their primary activity of choice is killing everyone other than themselves by inflicting as much pain and suffering as possible upon their victims before their final dispatch. And–dare I wax rhetorical, cynical and sarcastic–does Mr. Gates have ANY idea with whom we are dealing here? For I daresay the current Resident in the White House, his minions and yes, his Imams certainly do. That means, Mr. Gates said, that the Taliban must participate in elections, not oppose education and not assassinate local officials. On Friday, he listed conditions that the Taliban must meet for Afghan political acceptance. OMGROTFLMFAO. Apparently Mr. Gates does not subscribe to the cardinal rule of War: KNOW THINE OPPONENT; apparently, he has forgotten that these are the people who thrive in blowing people into bits with IEDs, cutting off the heads of those with whom they disagree and maiming, beating and killing women. He apparently has conveniently forgotten the HUGE and seemingly endless sacrifices of our military, given freely and honorably in the fight against terrorists and their agenda. Those who died in the sand and those whose lives are forever changed by their memories deserve a great deal more than a Secretary of Defense who thinks we should play nicely with the Taliban, an entity who does not play nicely with ANYONE and never will. But don’t take my word for it. Ask Sgt. Sanchez, Lance Cpls. Hall, Burrows, Posey, Schimmel, Stroud, & Damas, Lt. Behenna, Lt. Col. Chessani, Pfc. Corey Clagett, Cpl. Vila, Sgts. Hatley, Leahy, Hutchins, Navy SEALS SO-2s Matthew McCabe & Jonathan Keefe, SO-1 Julio Huertas, and the thousands of others whose lives were shortened or altered irretrievably. 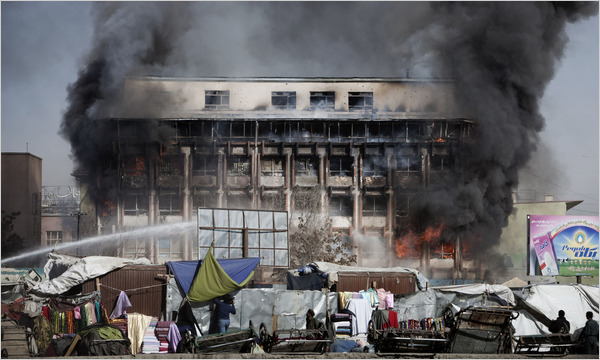 BOMBED BANK After an attack on Monday in Kabul, Taliban leaders warned that their foot soldiers weren’t reconciling with anyone. HELLO? MR. GATES? EARTH TO SPACE, COME IN, MR. GATES…Whiskey Tango Foxtrot…AYFKM…Tango Mike Mike. 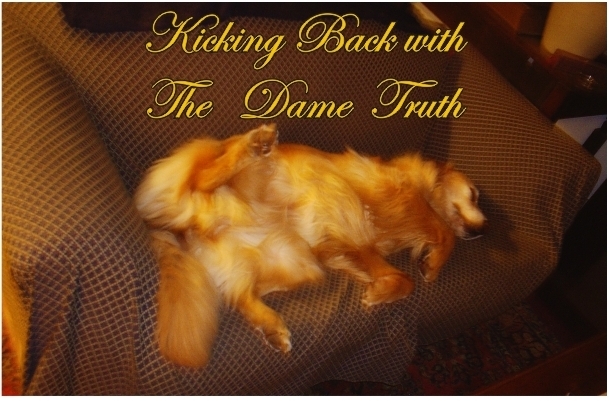 Tonight On the Dame Truth: Sgt. Sanchez! For more information, please click the links below! What Afghanistan needs from the U.S.
Sgt. Dean J. Sanchez, decorated four time combat veteran joins The Dame tonight for a special show dedicated to the fallen Marines of 2nd Battalion 8th Marines CO. G. serving to bring change in Hellmand province, Afghanistan 2009 May-Present. Sgt. Sanchez has been on the ground in both Iraq and Afghanistan serving in four combat tours from 2003 till present. SGT. Sanchez received the Purple Heart Medal and the Navy Marine Corps Acheivment Medal for Valor, in Al Kharma, Iraq in 2004, he has seen the myriade changes in the military, the ROE’s, and the tactics through-out the entirety of the War. SGT. Dean J. Sanchez joins us tonight to talk about his personal experiences and thank the listners, for the support that they have shown through their prayers, letters, and care packages. As media reports have become increasingly unreliable, the American public deserves to have access to first hand knowledge ofn the facts facing our troops on the ground. Over the course of our ongoing conversations, Sgt. Sanchez continues to inspire me, sharpen my skills as a writer and as a person and remind me once again–as if I needed reminding–how many incredibly strong, bright and committed people there are in this world at a time when it can be all too easy to lose faith in ones’ fellow human beings. He brings to the table not only his years of combat duty but a keen mind, an extraordinary personal journey and a degree in Criminal Justice. His views, in my opinion, reflect the best of what America has to offer: intellect honed with on the ground experience, fired by strong background knowledge of our Constitution and our history and tempered by the kind of resourcefulness, committment and individuality that has made our country the great model for independence and personal accomplishment that it has become. In countless interviews with foreign press, I have time and again asked them just why the rest of the world continues to watch our every move with respect to our politics, our Constitutional issues and foreign policy. 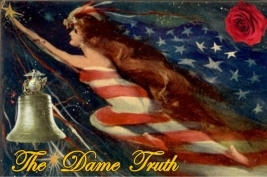 The answer is always the same, and always succinct: it is because it is our Constitution upon which every free nation’s Constitution is based; and they watch with baited breath to see how we will handle our challenges, for if America’s Republic falls, they see no way for theirs to survive. While there are myriad reasons for a Republic to fall–and, indeed, historically, no republic has survived for more than 250 years–there are myriad reasons for ours to continue despite the serious challenges we now face. From the Fed to constant challenges to our Constitution, the threat of serious demoralization both to our military and our People, America and Americans have something that few, if any, other republics have ever had: some call it Attitude; others tenacity, but all would agree that those who would seek to destroy us are ignorant of the singularly major factor that will determine our longevity as a Republic: WE…ARE…AMERICANS, and there are a LOT more of US than there are of THEM. And if we all remember that and work together, we shall prevail, now and always.